Our HIPAA compliant LED waiting rooms displays are designed for visually displaying pertinent, yet private, information for friends and family in the waiting room. Displays can be easily wall mounted and comes in various sizes ranging from 40" to 55". Each unit comes with with a wall mount PC, 3 year warranty, and a Savance Health Waiting Room Display Software License. Easy-to-use self-service touch screen kiosks that collects pertinent patient information using simple on screen instructions, user friendly for every age. Attach a card reader and it can instantly collect information from a drivers license or ID card. Collect a patient's address, phone number, current doctor, current medications, insurance, date of birth and any other information. The information can later be used to expedite the registration process for frequent visitors. Each kiosk comes equipped with Windows 7 Pro, a Savance Health's Patient Self Check-In software license, and warranty on hardware from 18-36 months. Enhance your patient experience and communications by using a paging system similar to what you've probably seen at restaurants. Assign a pager in our software, then activate the pager or send the patient or loved one a message right from your computer. Our software supports canned messages making communications fast and simple. A simple device can put patients and loved ones at ease and give them the freedom to walk around. Optimize your patient flow and communications with a system of your own today! This discrete room locator transmits pin-point accurate information from our RFID Badges, Patient Locator tags, and Assets Tags, about the location of tagged personnel or assets. Tag transmissions is processed in real-time and with room-level accuracy. With simple installation, modular design and low price, Room Locators provide an economical solution to a wide variety of personnel and asset tracking problems. The RFID Patient Locator is a battery-powered RF transmitter designed to be worn by children or adults for patient or personnel tracking..The RFID Patient Locators are designed to be comfortably worn by the user when attached with standard single-use ¾" wristbands. It's patented communication protocols support high tag densities that allow large populations of tags to be deployed in confined spaces. Each tag is sealed via sonic-welding at the point of manufacture to resist moisture and fluids. RFID Badges are specifically designed for doctors, nurses and personnel tracking. These small badges can be clipped onto an article of clothing or worn around the neck with a lanyard. Used with our strategically-placed RFID Room Locators, the badge tag transmissions can be mapped in real-time to track personnel movement, including entrance and exits from controlled areas. This provides a method for reporting real-time locations with room-level accuracy. The badge enclosure is impact resistant, splash resistant and temperature stable, with a read range up to 300 feet. These tags operate with a low duty cycle that translates to long battery life (typically 3 years). Securely fasten one of our asset tags to a hospital bed, insulin pump, medical imaging machine or any other device, and be able to locate it with pinpoint accuracy. The assets location can be seen in real time on one of our large screen displays, a PC, or a mobile device. Centrally located reader that is calibrated and dedicated to interpreting and reporting the radio frequency messages emitted by all our RF tags. Tag transmissions is processed in real-time to quickly locate and identify personnel and tagged assets in any area. A single reader will process in excess of 140 events per second, or 1,400 tags monitored simultaneously with 10-second beacon intervals. We carry a variety of customizable prox cards or keyfobs for your hospital. Print out customized access cards for guests, patients, or staff and the system will track their locations in real time. For extra security, visitors or guest can be screened against historical directories, identifying those who are red-flagged. Each card has a thickness of about two credit cards. Collect patient information directly from an ID card, insurance card, hospital-issued ID card, or driver's license using our high-resolution card scanner. It retrieves a copy of both the front and back of the patient's card and automatically fills in the name, date of birth, and address during patient check-in. Collect patient's demographic information from the magnetic stripe or barcode directly from an ID card, Insurance card, or driver's license. It is a quick and accurate way to collect and automatically enter pertinent patient information during patient check-in. Collect patient's information from the magnetic stripe on an ID card, insurance card, or driver's license. This is a no-hassle solution with easy setup to collect and automatically enter pertinent patient information during patient check-in. This small inconspicuous pc allows you to run the Savance Health software from any location. At less than 1" thick and 8" wide, It can be place in almost any location and conveniently attached to a wall and hidden behind one of our large screen displays. Each unit comes equipped with Windows XP embedded, and Savance Health software. We can tap into existing hardware at your hospital or facility using our HID module. The module can be used to accept badge scans from existing HID readers or combined with a kiosk electronically control a door lock. Industrialized electronic door strikes and door handle used to unlock the doors after authentication. Door locks can be configured to be locked in various ways, always open from the inside, or configurable to be locked on both sides. An up-to-the minute tool for knowing the status, location, and contact info of everyone in the building, using a tablet, laptop or other mobile device. Used for roll calls during fire drills or emergency evacuations. The unit comes with Savance's Emergency Mustering software license. Fast, smart, and affordable label printer with thermal printing technology. Works with your existing computer software, incl. Microsoft Word, Outlook, Quickbooks, and more, to create customizable patient and visitor labels. 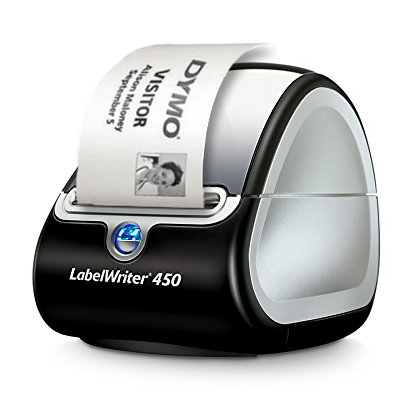 Can also be used for high-res printing of barcodes, address labels, and more. 300 patient/visitor labels included. Versatile 2D barcode scanner with point and shoot simplicity. No need to align barcode and scanner. This lightweight and durable scanner will read most common 1D and 2D bar codes right out of the box - just plug in and go. Use for license or ID scanning, as well as to read employee badges. 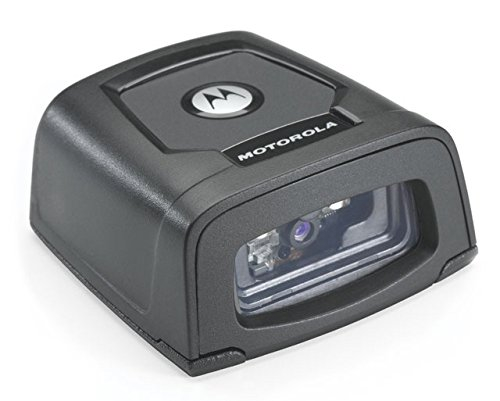 Versatile 2D barcode scanner with point and shoot simplicity. No need to align barcode and scanner. This lightweight and durable scanner will read most common 1D and 2D bar codes right out of the box - just plug in and go. Use for license or ID scanning, as well as to read employee badges. Mounts directly to the kiosk or to a wall. We carry a variety of stands for all Savance Health kiosks, including freestanding floor kiosks, tabletop stands, or wall mounted, all easy to assemble. Place the kiosk close to entrances, reception areas, or patient waiting rooms, to allow for easy patient self check-in. We also offer a heavy duty floor stand option that can hold up to a 42" display. Heavy duty floor stand for a wide variety of touch screen displays, all the way up to 42" touch screens. Customize this stand with a front decal, overhead sign, printer tray for custom labels, and more. Stylish, freestanding kiosk for patient check-in and registration. This curved kiosk comes in a durable scratch-resistant black powder coated finish, but can be customized with a front decal to fit your branding and messaging. Other options include custom-mounted bar code scanner and kiosk camera; ID or printer tray; and a top sign panel with custom graphics/messaging. Particularly useful in areas where space is limited, easily mount a touch screen patient self check-in kiosk to the wall. 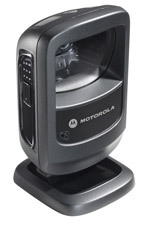 Place in a front desk/lobby area, close to the waiting room, or in other areas that allow patients to easily check-in. Need to use your touch screen or display on a table or desk? With our desk and table stands, you can place many mid-size touch screens and flat panel displays on any desk or table. Place the table stand close to entrances, lobbies, or waiting rooms so patients can quickly check in for their appointment. The stand is simple to mount and easy to use.